There are also three, six, and 12 month subscriptions, which work out more cheaply per month. 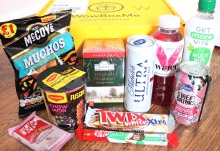 This month’s April box is in celebration of their second anniversary, and contains, as always, a remarkable array of delicious things to eat. 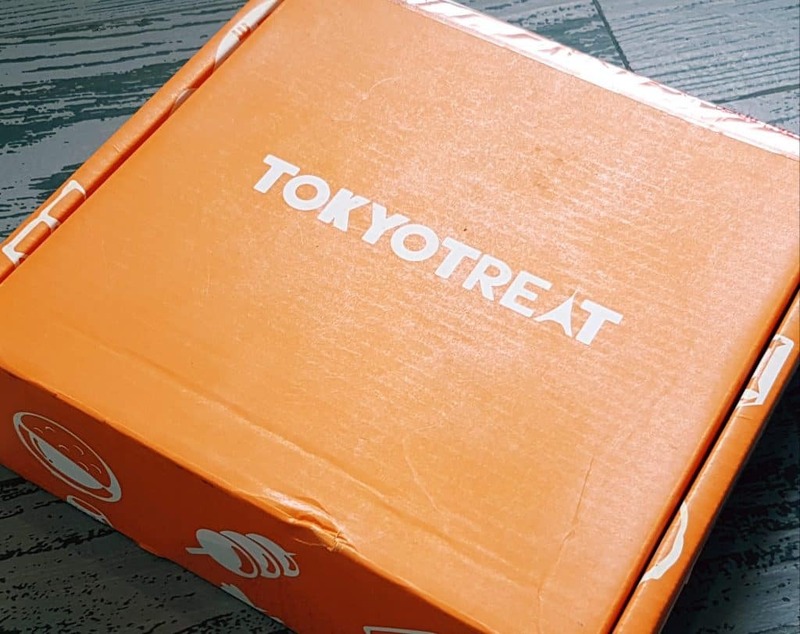 I was sent a Premium box, which is of a quite impressive size. It’s a good solid box, and I love the bright colour! This thing is stuffed full. I’ve constantly amazed at their packers’ ability to fit everything in so beautifully. On the top you can see their menu magazine. Their menu magazine is always excellent. 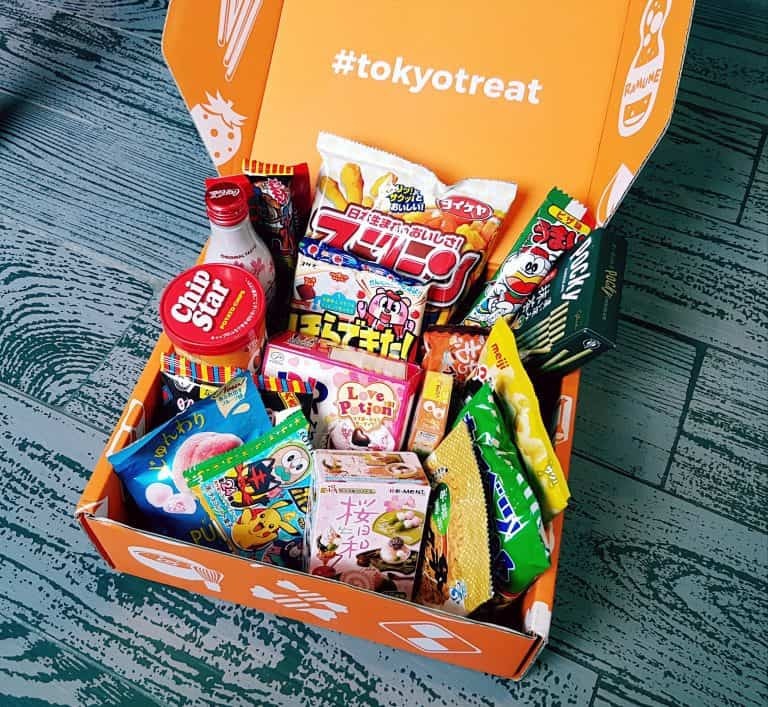 There is a full list of the box contents. 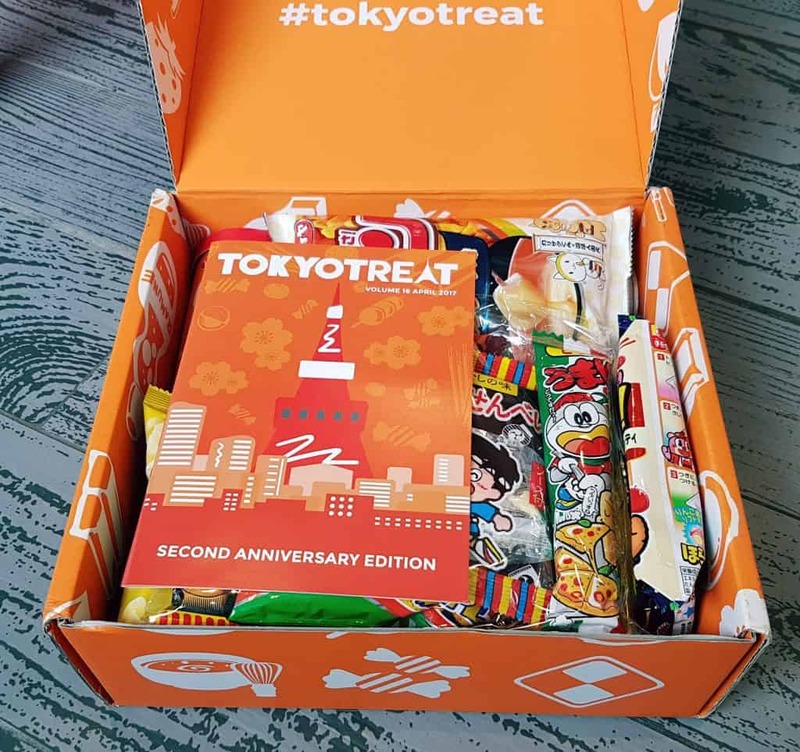 The TokyoTreat Premium box always contains a DIY candy kit, and the magazine helpfully provides directions for those of us who can’t read Japanese! You also get some info about this month’s special item. Last but not least they always include some interesting trivia about something Japanese, frequently snack-related. 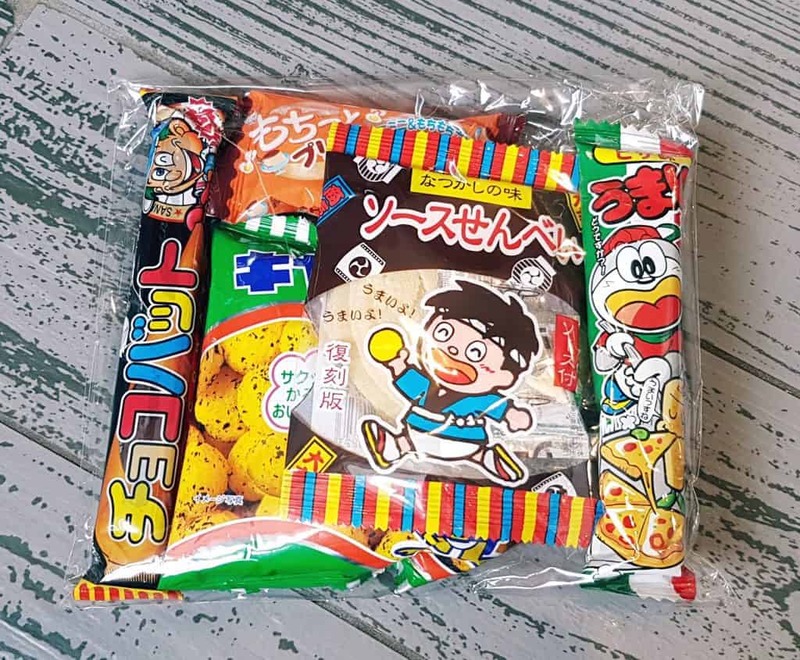 Here is their Dagashi Bag. 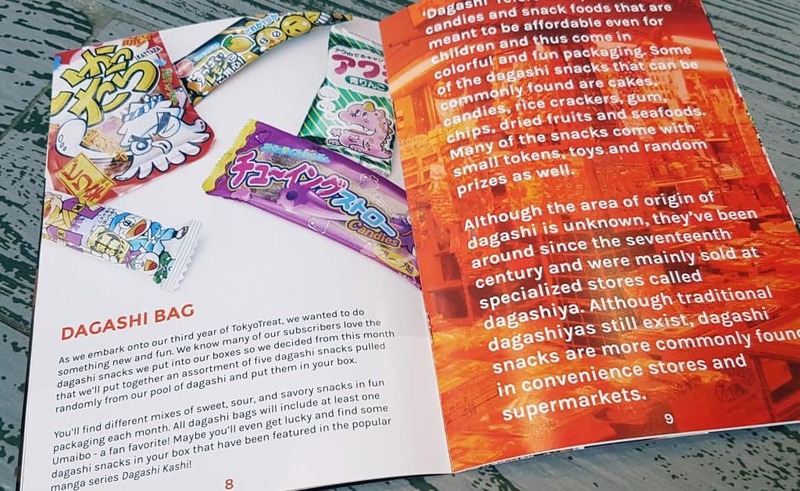 Dagashi is rather like the Japanese equivalent of penny sweets or pocket money sweets. They include some rather interesting items that took rather a lot of Googling to figure out what they were! Umaibo. I just love these. They’re a kind of corn puff tube and come in about a million flavours. This one is pizza, which really does taste like pizza with the texture of Monster Munch. Yum. Mochitto Purin. These are a kind of little rice cake; soft and squishy with a kind of custard marshmallow flavour. Astoundingly sweet. Cabbage Taro. Don’t let the suggestion of cabbage put you off, as it actually contains nori/seaweed. These are little corn puffs with a taste of Japanese Okonomiyaki sauce, which is sort of like brown sauce. 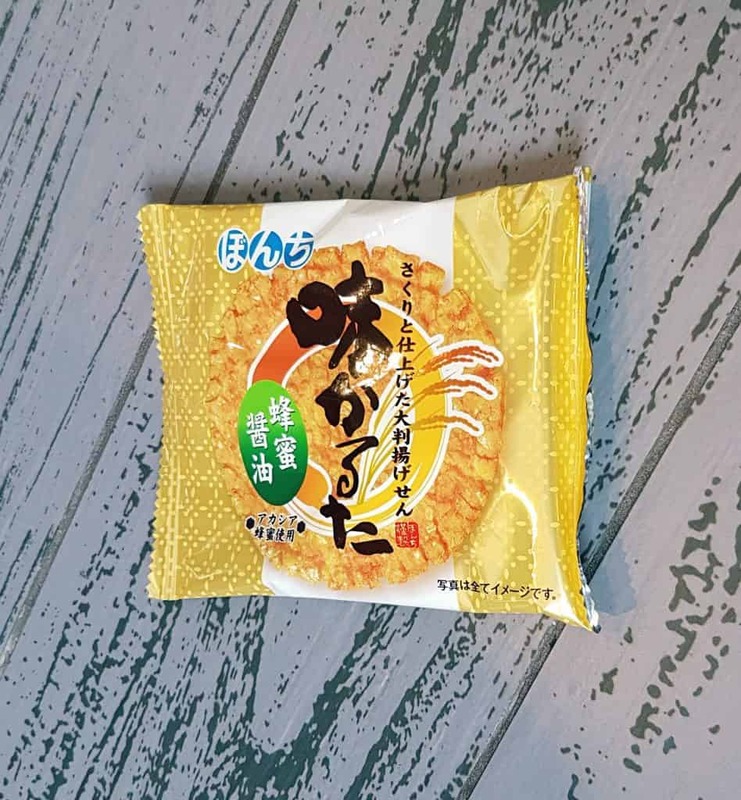 Yaokin Rice Crackers. These are plain rice crackers (they were slightly squashed) with a little pack of Japanese BBQ sauce to squeeze on them. Chocobat. Yes, according to the picture it’s a baseball bat made from chocolate. The shape is more like a log though, and contains a very light, almost cake-like filling. 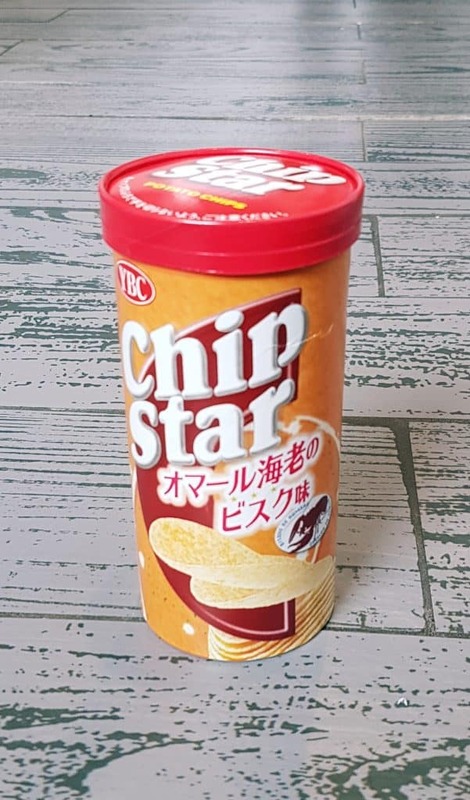 This is a tube of Chip Star snacks, in gourmet Lobster Bisque flavour. Very fancy. They are rather like Pringles, but come in way more exotic flavours. Unfortunately I’m allergic to shellfish so will be handing these over to my shellfish-loving husband so he can consume them far away from me. 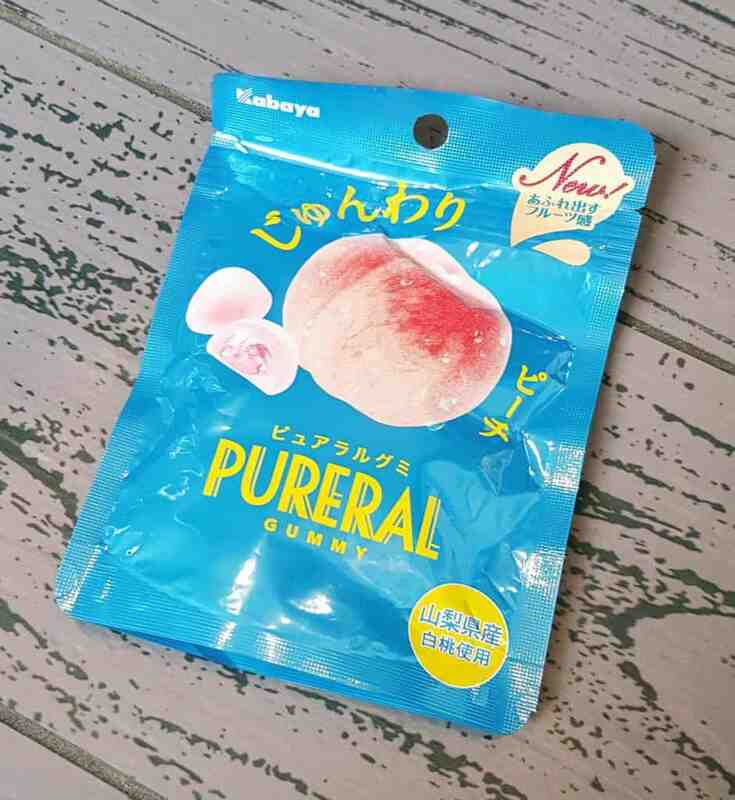 These are Pureral Peach Gummies. They contain actual Hakuto white peach juice, and are have a dual texture to suggest eating actual peaches. 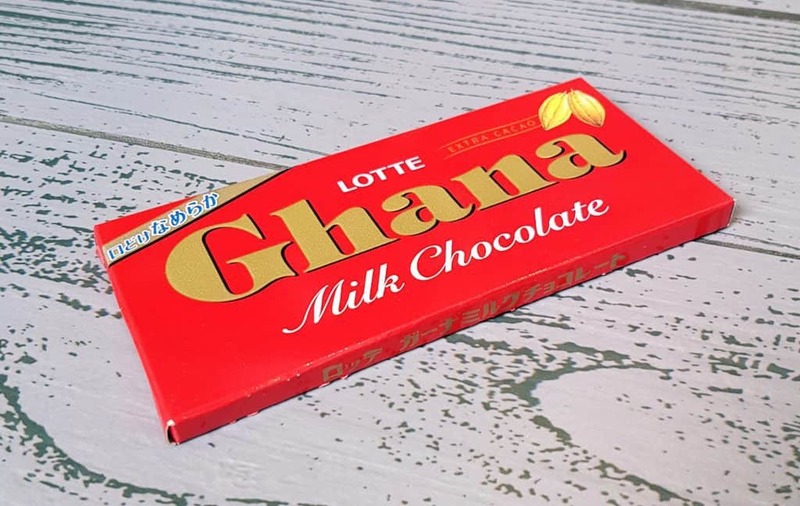 Ghana Milk Chocolate. At first I thought huh? Chocolate from Ghana? But, as it turns out, it is Japanese chocolate and the name is in homage to their cocoa beans which are grown in Ghana. When it comes to bar chocolate I do prefer plain, but my husband adores milk chocolate so he’s certainly very happy! The items above are included in the Small Box. Onwards to the Medium Box additions. Pokemon Chocolate Wafer and Caramel Chocoballs! 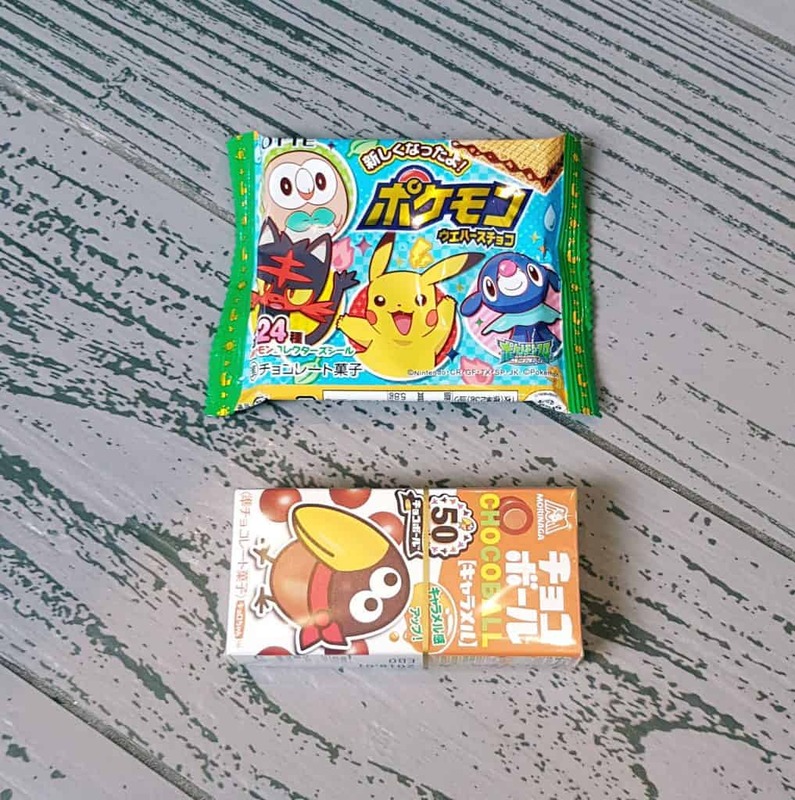 The Pokemon snack is a wafer sandwich with chocolate and cookie filling, and the packet also contains a sticker. I love a little bonus extra like that, makes me feel like a kid. I’m actually eating this as I type, and trying not to fill the laptop full of crumbs. There are several varieties of Chocoballs, but this one contains creamy caramel. The cute little (sideways) guy on the box is called Kyro-chan, and he is the Chocoball mascot. So cute! 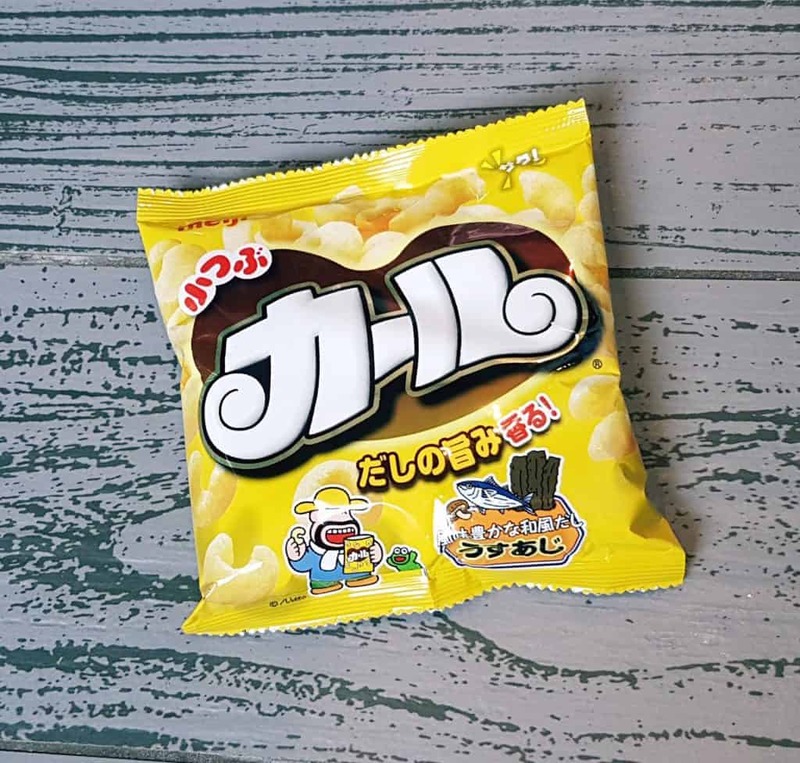 These are Mini Karl Corn Puffs in Light Dashi Flavour. There are a lot of corn puff-type Japanese snacks, and I love having some savory crunch (in addition to my beloved Umaibo). Dashi is a type of stock, and acts as the base for many kinds of soups and broths. Honey Soy Sauce Rice Cracker. This is exactly how it is described. It’s very crunchy, and I love the combination of sweet and savoury. Yay, Pocky! I just love Pocky. This version is Rich Matcha flavour. 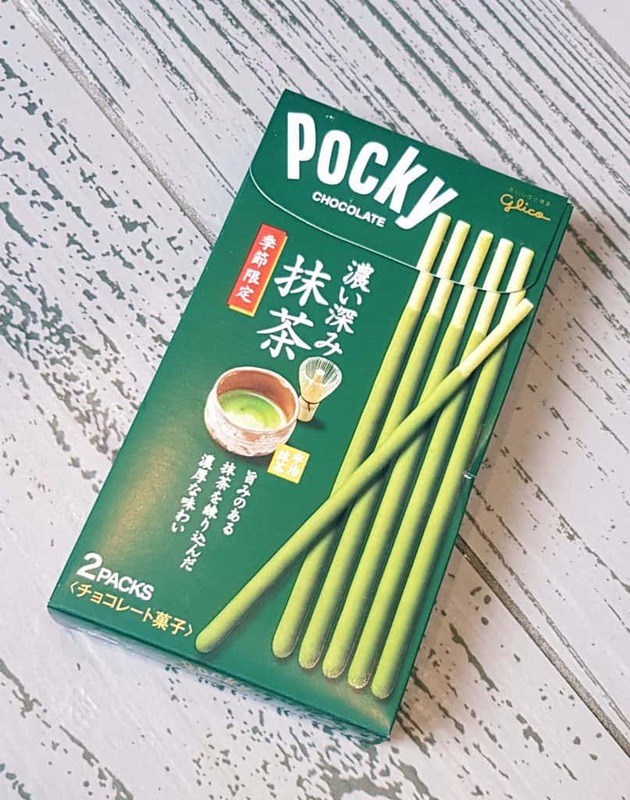 Having tried several matcha-flavoured snacks in the TokyoTreat March 2017 box I’m a total fan of this. These awesome biscuit sticks covered in sweet deliciousness are probably one of Japan’s most famous snacks. You can find them in various places in the UK but only in a few flavours. The variety available in Japan is outstanding. The items above were all included in the Medium Box. And now, the extra items in the Premium Box. Isn’t this beautiful? 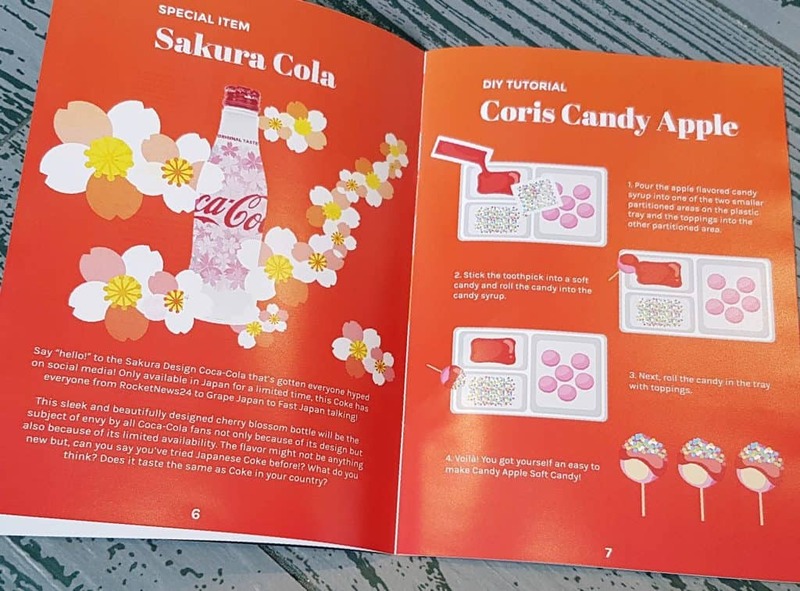 It’s Sakura Design Coca-Cola, this month’s special item from TokyoTreat. 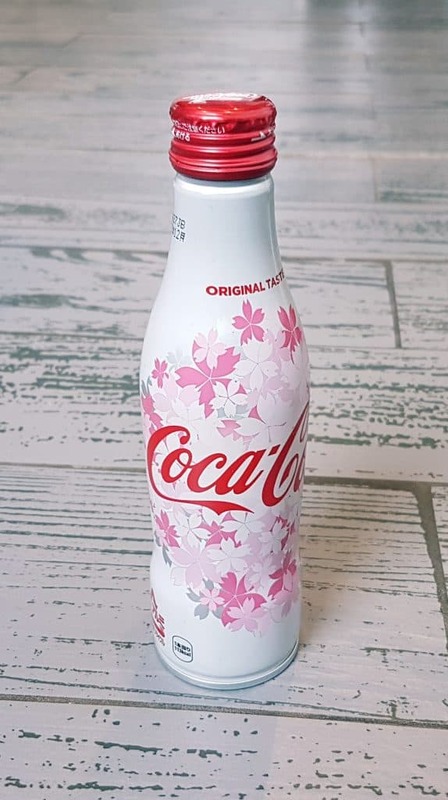 In Japan Cocoa-Cola often creates special limited-edition bottles, and for this year’s Sakura season produced this lovely bottle. The Coke inside is the same, it’s the collectible bottle that makes it special. Though apparently the various Cokes of different nations have slightly different tastes, this one is very similar to the American version, as it is also made from the (dreaded) High Fructose Corn Syrup. The really cool thing about this bottle is that it’s actually made from aluminum, so is basically a bottle-shaped can! In the unlikely event you don’t finish it all at once you can put on the lid and it will actually stay fizzy, unlike regular cans. Plus it’s really pretty. This is a nice big bag of Scone Rich Cheese Flavour snacks. More corn snacks, not that I’m complaining as I love ’em. These are less like the light corn puffs and more like Cheetos. The flavour is incredible, super-cheesy. Anyone who’s been to America will be familiar with the ice cream brand Baskin-Robbins. 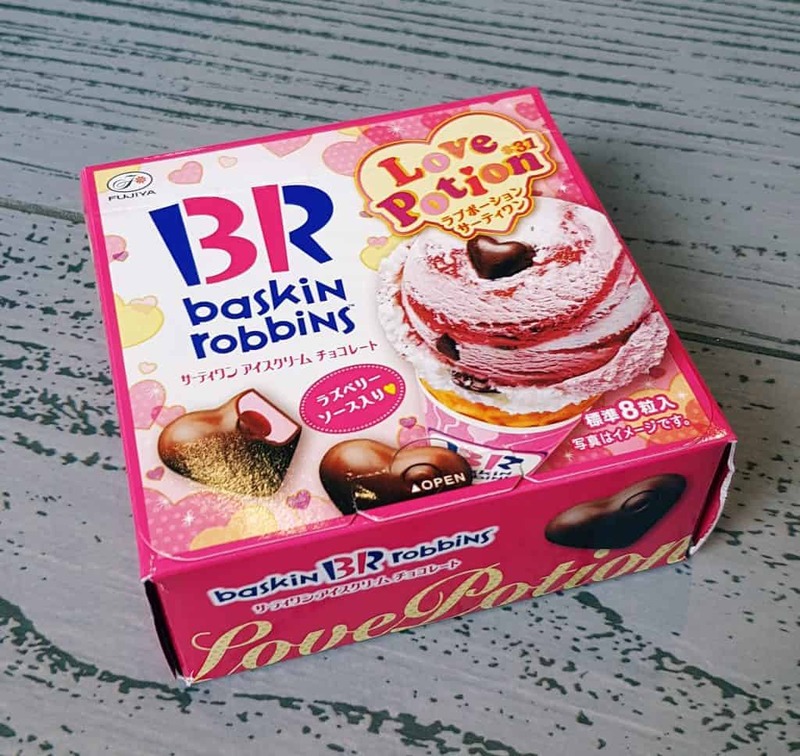 These are the chocolate version of the Baskin-Robbins Chocolate Love Potion #31 flavour, little heart-shaped chocolates containing raspberry cream and raspberry sauce. Perfect for your loved one. Perhaps I’ll give them to my husband because I love him. Awwww. Here’s something slightly unusual. Re-ment make little blind boxes containing a tiny toy or charm, plus a piece of gum. 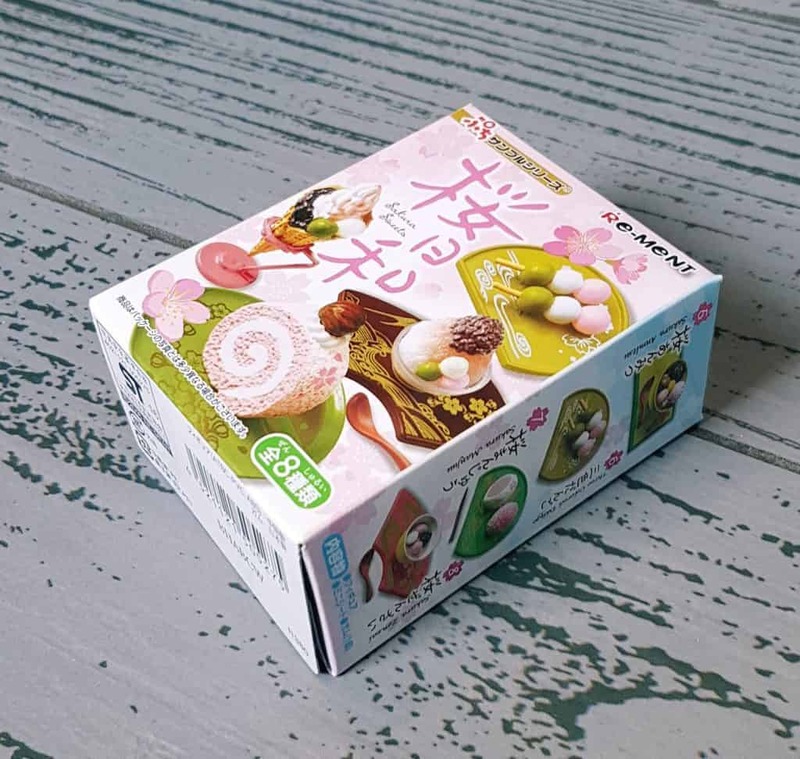 This Re-ment Sakura Sweets Blind Box is a special edition celebrating the various Sakura sweet varieties. 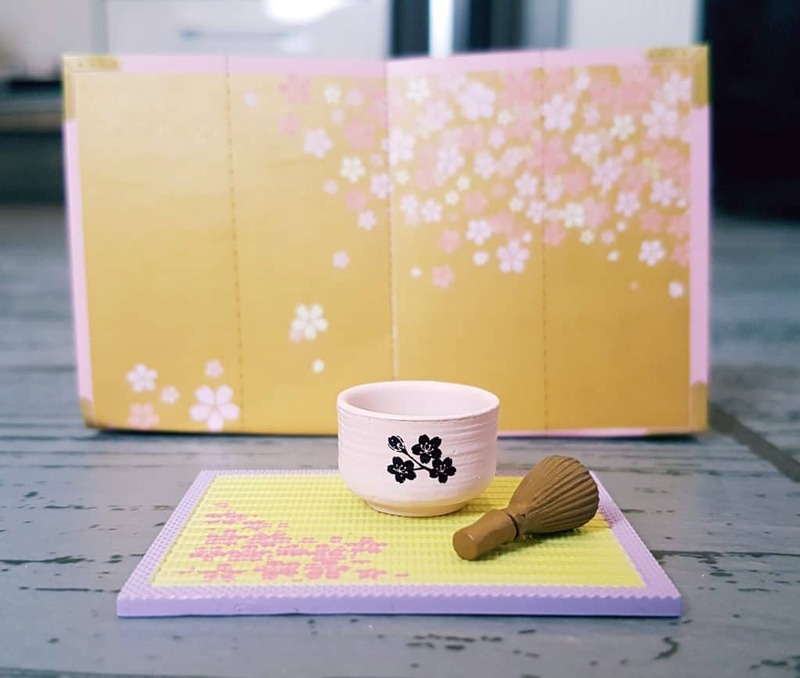 The possible contents are listed on the side of the box, and I got the Sakura Matcha. Isn’t that adorable? To give you an idea of size, the little mat is around two inches long. You can see the tiny bowl and whisk. 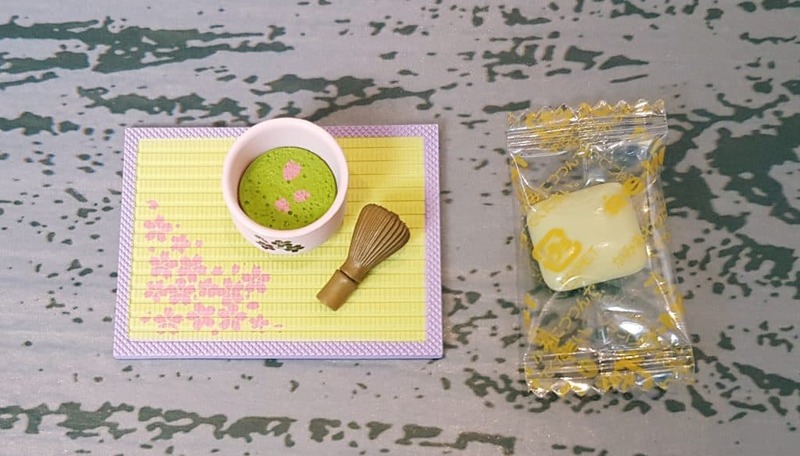 There is the little matcha green tea insert in the bowl, plus the gum. The gum was rather delicious with tangy sakura taste. So cute, and an unusual and fun addition! Last but not least, a Coris Candy Apple Soft Candy DIY. This is one of the less labour-intensive candy kits, and it involves little candy balls with sauce and sprinkles to dip, to look like a traditional candy apple. And everything is out of the box! Once again this is an extremely pleasing box of goodies. 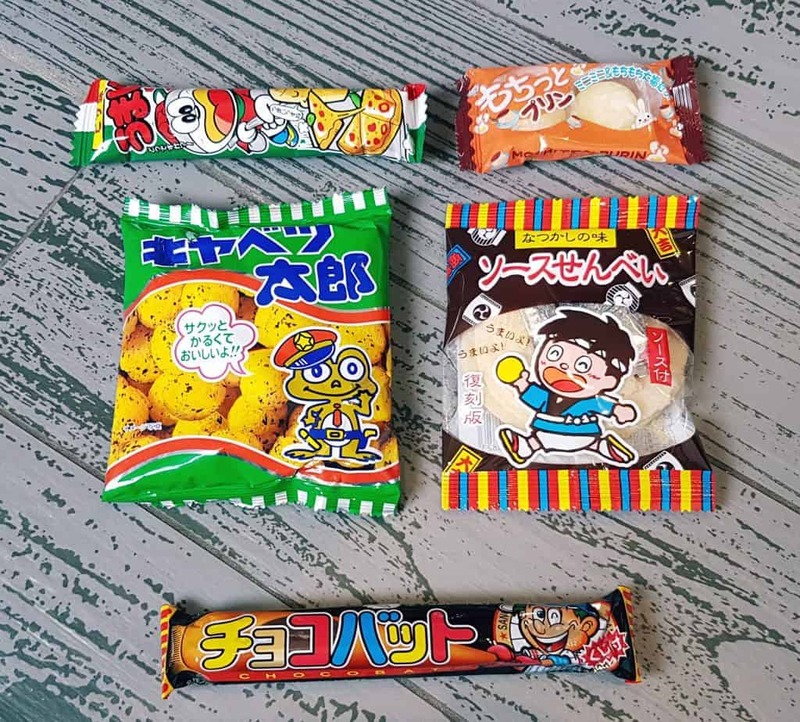 Out of a total of 18 snacks (including the Dagashi) six were savory. While I do adore my savory snacks I thought this was a pretty good balance (though I wouldn’t say no to more Umaibo!). I think I like corn snacks even more than crisps, so I’m glad they are included so often. Of course I’m disappointed I can’t eat the Chip Stars, but having an allergy is just one of those things. Plus it means I have husband-bribes to hand without feeling I’m giving anything up I want myself! The box is incredibly well packed. Unusually, a couple of the items, such as the Umaibo, were slightly broken in their packages, but it doesn’t affect the taste. The box has traveled a very long way and I’ve never had anything broken before, so I’m not at all bothered. I really like their menu magazine. It has a good list of all the items; in fact the only thing I’d like them to include would be an allergy list. For the most part it’s pretty obvious what the snacks contain, either from the description or by little pictures on the packaging. But it would be a nice bonus. 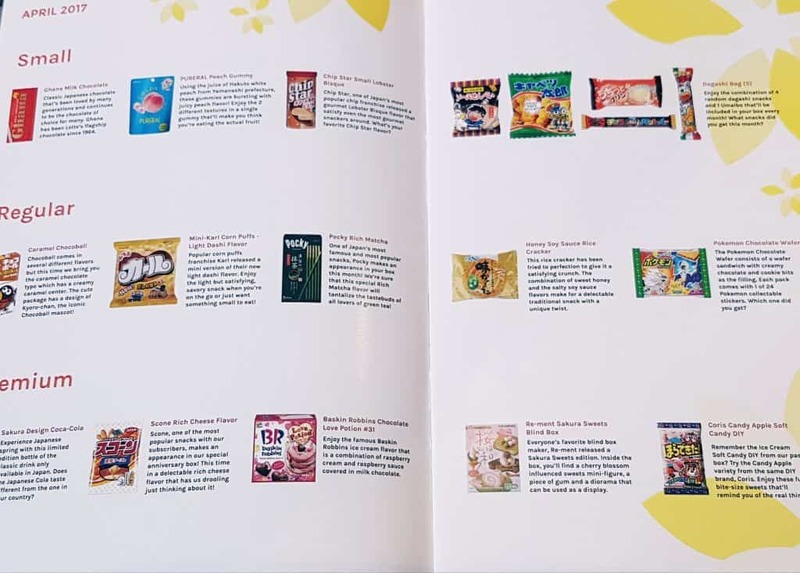 The menu also contains some interesting details about Japanese culture, so you can feel like you’re learning something while stuffing your face with snacks. I just adore the packaging of the different snacks. All the manga-style pictures, kawaii characters, and bright colours are just awesome. 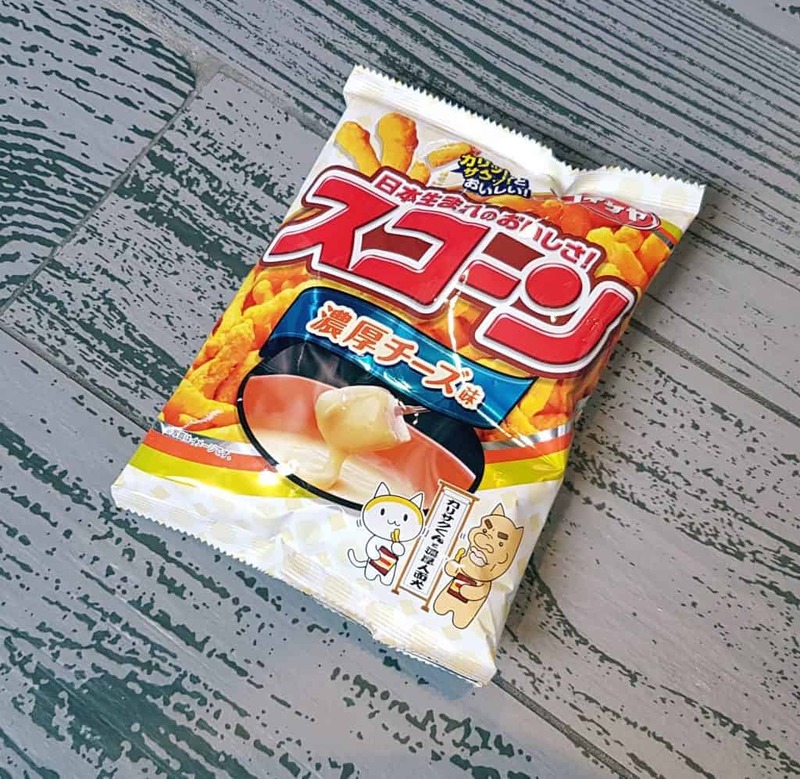 Japan beats the hell out of the West for snack packaging design. As to value, some of these things are available on US sites, and I found a box of 600 Umaibo on Amazon.co.uk (I resisted the temptation to buy them). 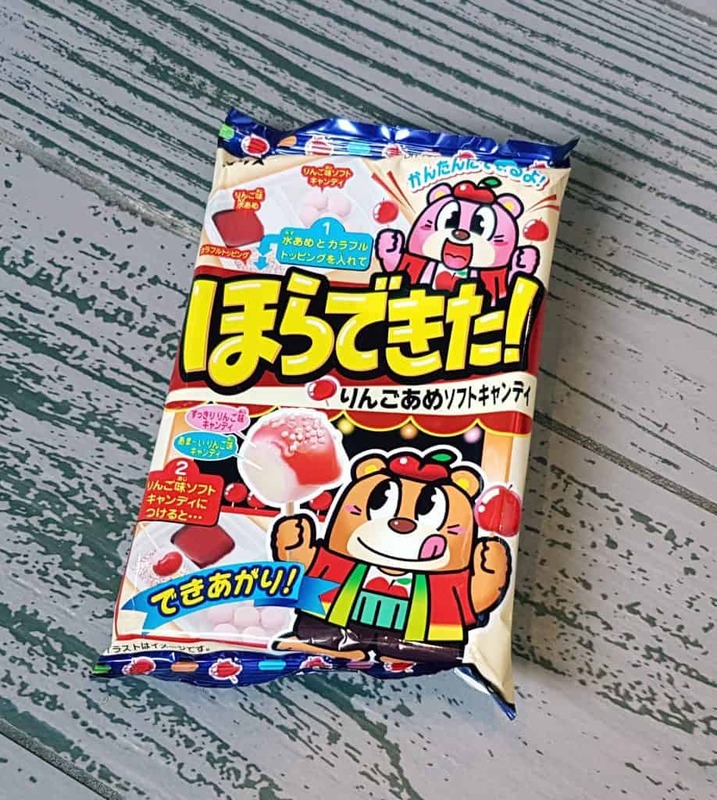 However, most appear to be exclusive to the Japanese market, and are clearly not the ‘export’ versions of snacks you can often buy. As usual the bigger the box the better the value, but I don’t think the small box is unreasonable, especially when considering how much it would cost to source all these things! One thing I love about this company is that there is the constant novelty factor. You never know what you’re going to get, and it’s very likely you will have never seen it before! 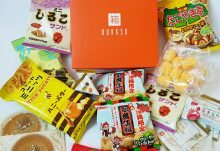 Japanese snacks are often so crazy that the opportunities for new and exciting flavours and textures are endless. Delicious, or as they say in Japan, Oshii!